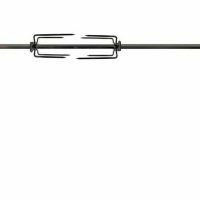 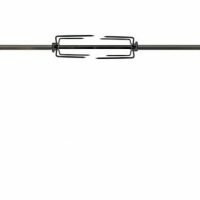 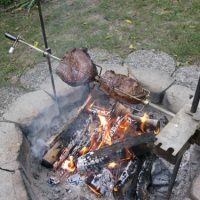 The One Grill campfire rotisseries are made of high quality stainless steel and are fully adjustable. 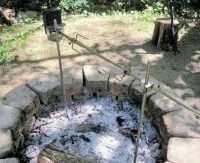 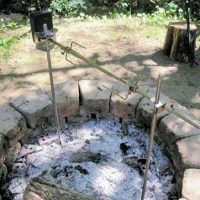 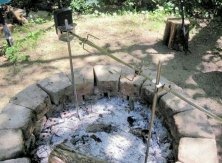 Wherever you can place a post in the ground you can set these campfire rotisseries up. 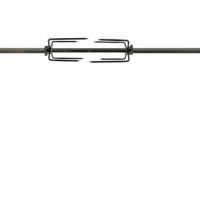 They fully can slide up and down on the post for heat adjustments and are available in bot AC and DC versions.